District Lot 489 was created in 1884 and subsequently sold by the Crown to Royal City Planing Mills from New Westminster as timber land. In the period between 1910 and 1913 District Lot 489 was sold to Terminal Steamship, which was owned by the brothers Jack and John Cates. They also owned the land surrounding Killarney Lake plus an additional 300 acres. 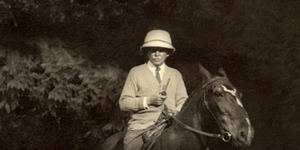 The Cates brothers began to develop their land holdings into a resort operation. The Cates brothers subsequently sold District Lot 489 and other land holdings on Bowen to the Union Steamship Company in 1920. The Union Steamship expanded their holdings during the next 20 years with a total build out of 180 cottages, a hotel, camp grounds, etc. The highest number of visitors to the Union Steamship Resort was in the late 1940s with visits exceeding 100,000 per year. After that, the Union Steamship holdings slowly went into decline, and the operation of the resort started to deteriorate. 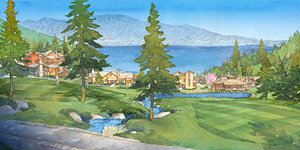 What began as land for a timber company has blossomed into a ``mature neighbourhood`` with its own established character, having played an integral and pioneering part in the development of Snug Cove. Between 1988 and 1999 approximately 30 lots (minimum average size of 2.5 acres) in the southwest part of Cates Hill were developed and sold. These lots are accessed by Cates Hill Road and Berry Road. 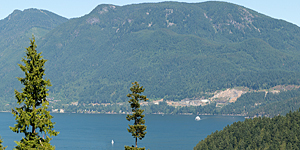 During the same period, four different comprehensive plans were proposed to the Islands Trust, the agency which provided planning services to Bowen Island prior to the island becoming a Municipality. 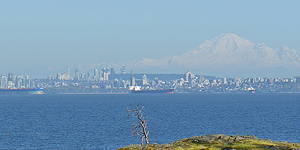 A comprehensive zoning was approved in June 1999 (Bowen Island Local Trust Committee Bylaws No. 155 and No. 156). The comprehensive zoning for Cates Hill in 1999 included the creation of 82 lots on the hillside facing east (now known as Cates Hill Village), and 24 lots on the hillside facing northeast (now known as Parkview Slopes). Provision of 12 rental housing units at 15% below market rates. 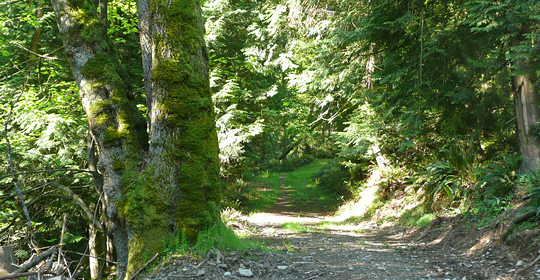 Cates Hill can be best described as a “mature neighbourhood” with its own established character, having played an integral and pioneering part in the development of Snug Cove. Today it would be difficult to imagine a Snug Cove without the Cates Hill development because it would mean no Village Square with post office, pharmacy, Ruddy Potato, bakery, sushi, doctors’ offices, many other retail shops, and the much appreciated apartments on the upper floors. There would be no Artisan Square with its variety of retail and artisan shops, restaurant, health care providers, professional offices, and their healthy assortment of rental apartments and privately owned dwellings. Further, it would mean no Children’s Centre on Carter Road, no Island Pacific School, no Cates Hill Chapel, no Rivendell Retreat at the top of Cates Hill, no Tir-na-nOg Theatre School, no family housing cluster above the Village Square with rents at 15% below the CMHC average for Metropolitan Vancouver, no Municipal Hall, and no auto repair shop. And let’s not forget the 180 to 200 households (approximately 450 to 500 people) on Cates Hill with their ongoing contributions to community life and the local economy. We believe it is fair to say that the development of Cates Hill has become a remarkable success, and thanks have to be expressed to the many Bowen Islanders who have put their support and help behind past rezoning processes — and sincere appreciation is due for the courage and foresightedness by members of the Islands Trust at that time who shared the vision for a vibrant Snug Cove as the commercial, social, cultural, and residential core of the island. Note: A number of facts about the history of Cates Hill are taken from Bowen Island: 1872-1972 by Irene Howard (Bowen Island Historians, 1973). 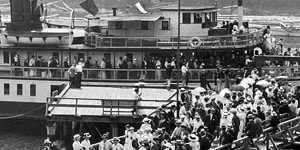 Top two photographs on this page are courtesy of Bowen Island Museum and Archives.